Because Your Business is worth it! Create an Employee Survey today! Employee Surveys increase satisfaction, engagement, productivity, & retention! Create the perfect employee survey to help enhance your workplace environment! What are employee surveys? An employee survey is a specific kind of satisfaction survey that focuses on the attitudes and perceptions of the staff. Inquiring to learn about leadership effectiveness, satisfaction with benefits, moods about workplace culture and overall attitudes towards the company brand are crucial to having a productive workplace. 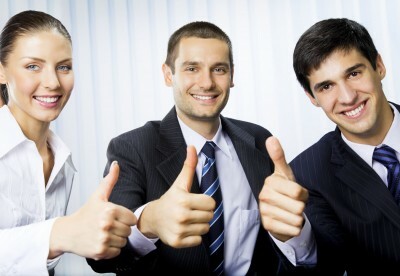 Satisfied employees mean satisfied customers, which leads to better profitability. Gauging employee satisfaction is an excellent way to discover a multitude of issues about the performance of your company. TidySurveys is a great utility tool to help you measure satisfaction with mobile-friendly employee survey questionnaires. Job Evaluation: A classic but fundamental employee survey, questions on employee motivation, general attitude and overall satisfaction about the company are covered. Respondents are asked whether or not the job requirements are clear, whether a path for career advancement is clear, and if they would refer a friend to work at the company. Career Training & Development: This survey gives respondents the opportunity to rate various aspects of the company, giving answers on a scale for “very satisfied” to “very dissatisfied”. You can ask questions that cover the quality of training you received, supervisor’s ability to identify weakness and strengths and whether or not there is a system of equitable rewards. Employee Exit Interview: This survey seeks to analyze a respondent’s attitude when leaving the company. You can address several topics, including reason for leaving, in addition to overall satisfaction of the job itself, perception of management, as well as attitude towards direct supervisor. Manager Evaluation: The management survey covers basic aspects of supervision. For example, How was communication? How about direction and feedback? You can give your respondents multi-line textfields to fill in detailed description about their experiences with upper management and how it affected their job performance. Workplace Culture Assessments: Wanna find out what gaps exist between your employees’ perception and the culture you strive to create? Findings from this will uncover whether your investments in specific programs and employee benefits are truly aligned with employee values and interests. Employee Engagement: Employee engagement is a critical element within the workplace. You can assess how employees feel about working at the company overall: motivation, wanting to stay, want to recommend, and more. Pay & Benefits: As a manager you want to assess the day-to-day job, respective to management, pay, training, work/life balance, and benefits packages. Employee attitudes about this can greatly affect engagement, productivity, and bottom line profits. Whether you want to deliver critical survey data to your managers or increase engagement and better overall results in your organization, TidySurveys gives you the tool you need to conduct insightful employee surveys. Don’t delay, Sign Up today! Wanna make a suggestion or get additional support? Look no further. Copyright © 2019 Mountastic Ventures Incorporated dba TidySurveys.com All Rights Reserved.